We have an afghan queen in our family...she is awesome! She taught me my first few crochet stitches in the beginning (a very patient teacher too). I think it is rather like functional art...it could totally be hung on a wall, but I know she would want it to be used and loved. There are so many wonderful techniques and stitches, every time I look at it I see something else! 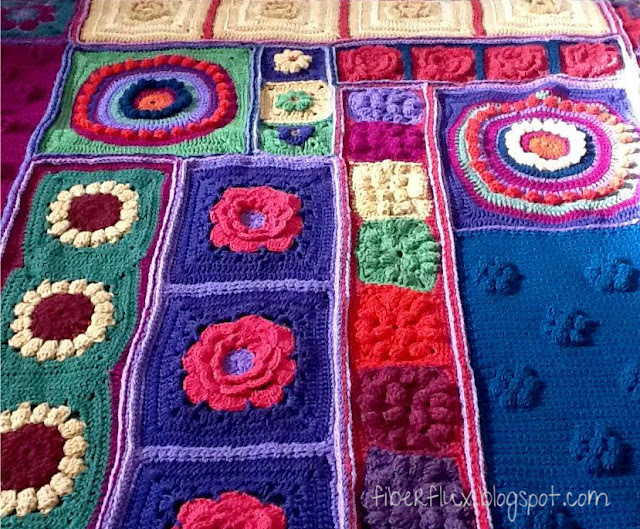 I especially love those crocodile stitch flowers and the textured circles...so amazing, all hail the afghan queen! 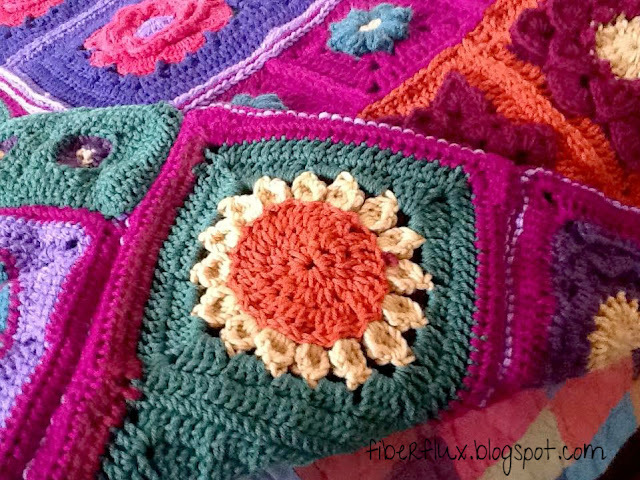 That's all for now stitchers, happy crocheting! Be sure to follow us on Google+, Facebook, Twitter, and Pinterest for the latest updates! That is really amazing, I imagine it took ages to complete. Well done to the Afghan Queen. Jennifer is very sweet to showcase my Christmas gift to my daughter on her blog ! I am newly retired and started this in September when gardening weather left us. I had a lot of fun putting it all together. My daughter, Jessi, chose the colors and my husband had input on the placement of motifs. I had never done motifs before so I learned a lot while doing this. It was a labor of love. 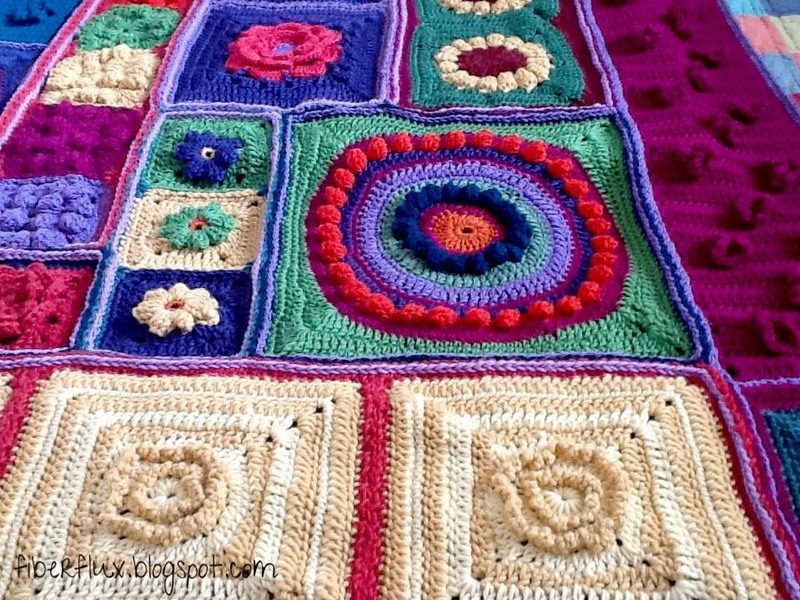 It has been wonderful to see Jen's talent explode on this blog- and through numerous much loved Chrismas presents of her own design. That is beautiful, the colours and detail are awesome! 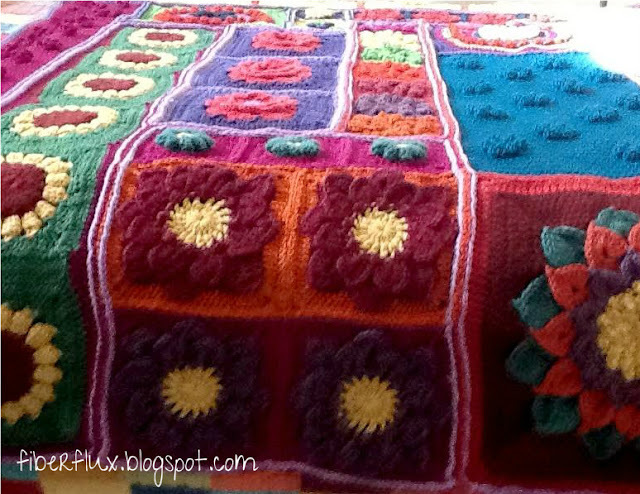 Now I really have to learn how to do Afghan stitching! I just want to keep looking at the Afghan! This is insanely beautiful! Honestly, I had no idea something like this could be handmade. She is quite talented. I wish she was in my family! I have never seen anything so beautiful!!!! How large is this blanket. It seems to just go on and on in these photo's. You are a very talented woman and I hope your daughter treasures this forever. This truly is a family heirloom!!!! Wish I could make one of these!!! Thank you everybody for all the wonderful accolades. The afghan fit a queen size bed.